Thrive Penobscot is a local group funded by Maine Health Access Foundation’s Thriving in Place. The group is a made up of representatives from in-home service agencies, hospitals, churches, food pantries, health providers, and community groups who provide services for those who choose to stay in their own home as they age, as well as those living with disabilities and chronic illness. 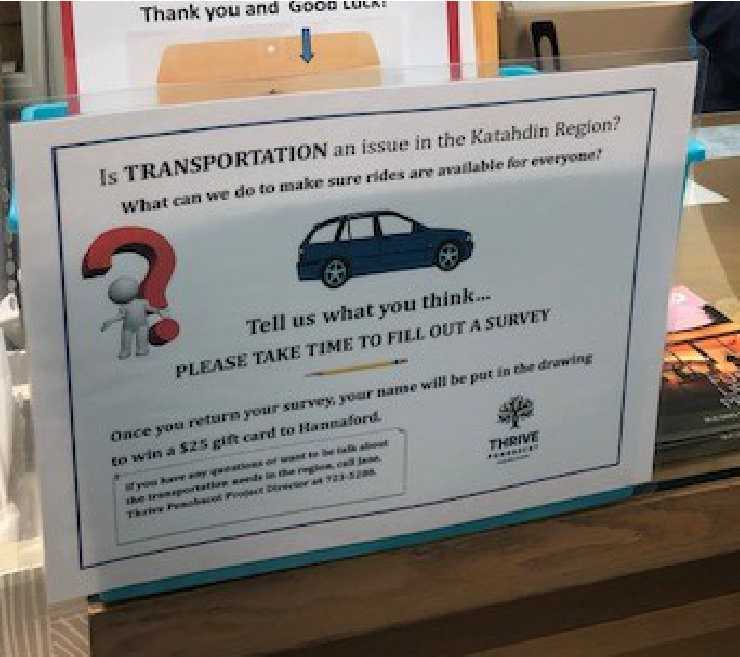 The group has developed an action plan for the Katahdin and Lincoln Lakes area to increase knowledge and use of local resources, promote and expand local transportation services, reduce food insecurity, address social isolation, and expand caregiver education, training and support. 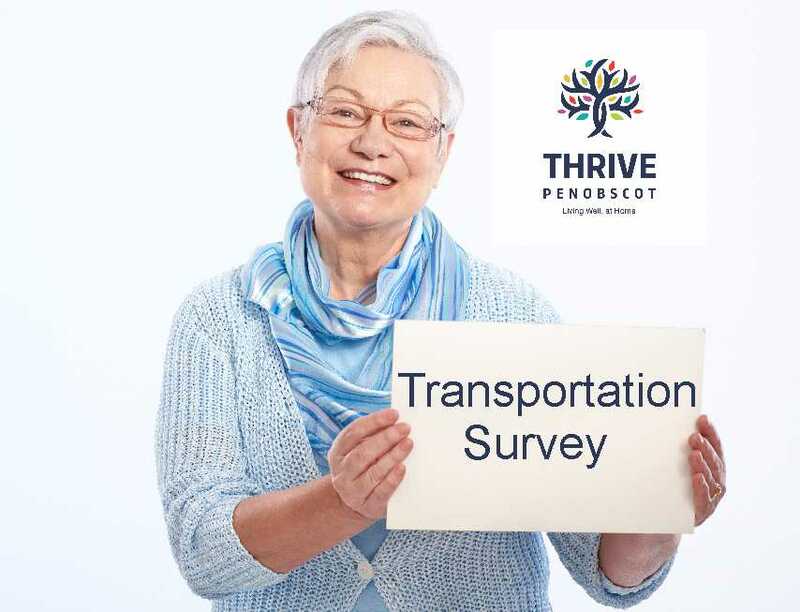 Thrive Penobscot will be conducting a transportation survey soon! Thrive Penobscot's Community Calendar is a great resource. We have compiled various activities, clubs and events that we think you will enjoy in the Katahdin and Lincoln area. We have also listed the days and times the local food cupboards will be open. Bean suppers and community dinners have also been added. Hopefully there is something for everyone on this calendar! We will keep this updated regularly for your convenience. Thrive Penobscot, is investing in the well-being of those living in the Katahdin and Lincoln Lakes region by addressing some of the most pressing issues and needs facing older people and those living with chronic disease. Based out of Millinocket Regional Hospital, Thrive Penobscot is a network of over 30 Partners collaborating to increase knowledge, availability and use of resources for transportation, food security, social interaction and caregiver support. The goal of the collaborative is to link people to resources to live well longer in a place they call home. © 2019 Thrive Penobscot. All Rights Reserved.